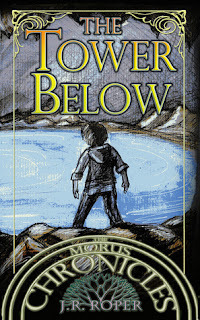 In Book Three of the Morus Chronicles readers are whisked away to a fantastic fantasy adventure as Ethan Morus and friends experience their greatest challenge yet. Ethan, a treasure hunter, and his friends are on the run. Everyone, including the police, are looking for them. There’s a matter of an artifact which has power beyond imagination. The Dark want him for treasure hunting, the Light want to keep him from finding anything, and the police are after him for... well... this little matter of blowing up his school... and more. A fluid read, with back-to-back action-packed moments and vividly penned scenes, readers will be thoroughly immersed in this book which earns our Seal of Approval. The Tower Below is recommended for home and school libraries. Congratulations, JR. A wonderful award for an excellent book.